8pm Friday 15th March, Christchurch Royal British Legion Ballroom, bring your own refreshments, free for Branch members (£5 otherwise). 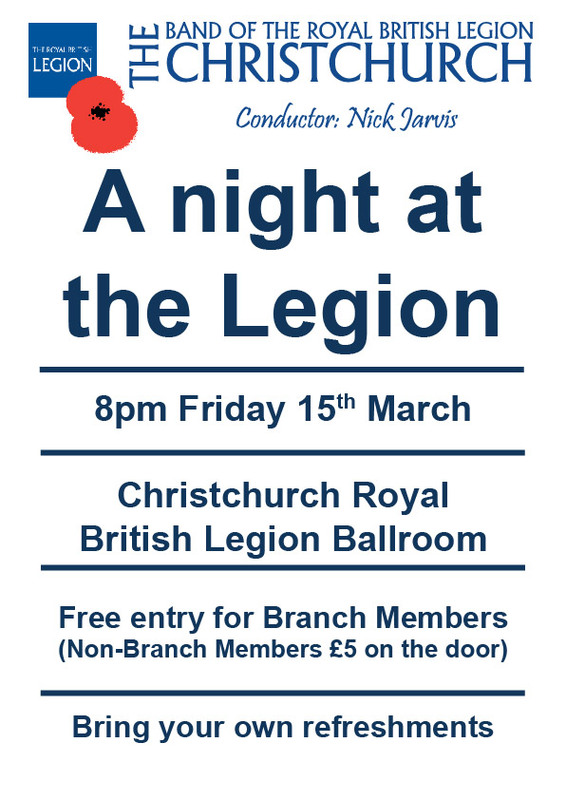 We invite all members of the Christchurch Royal British Legion Branch to a free concert, held in the Christchurch RBL Ballroom. The music for this concert will include a mixed repertoire, culminating in a ‘last night at the proms’ style piece.